I could share with you so many personal DIY hair disaster stories, starting with cutting my doll's hair at a tender age thinking that it will grow back like mine did, or trimming my baby sister's eyelashes to cutting my own fringe (that's bangs for you people in North America), sometimes with presentable results and other times to disastrous effect. Needless to say, my attempt to go blond at-home in my high-school years didn't turn out well on my black Asian hair. Now, had I been clever at the time, I would have snapped up photos of these disaster events because right now I could turn my fortunes around and make a mint out of those tragic experiences. 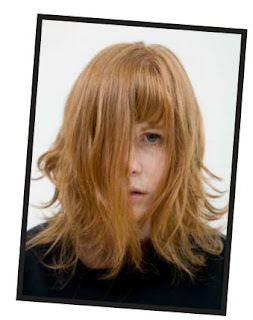 That's exactly what you can do with the Goldwell DIY Disaster competion on Facebook. 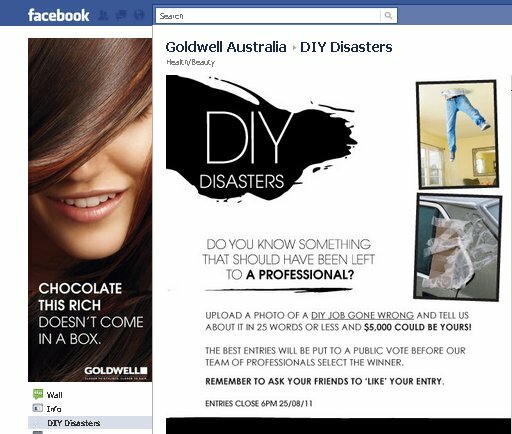 Like their page and in 25 words or less, share your DIY disaster story and upload an accompanying photo for public voting and for all your efforts, you could win a cool $5000 cash. That's more than enough for you to go to the professionals next time so you don't suffer another DIY mishap. I don't have proof of evidence of my not-so-successful DIY attempts or I'd be entering this competition right now. But never fear, that just means more winning chances for you - so head to Goldwell's Facebook page and like them to enter the competition now. Entries closes 6pm AEST 25/08/2011.